High school students are expected to have already learned certain math skills by the end of grade 8; they will use these math skills in this course. Additional math skills are introduced throughout the year. Adapted from “Reclaiming Education”, Lisa VanDamme, March /April 1999, The Intellectual Activist. “These are Newton’s three laws of motion. #1: Every body continues in its state of rest or of uniform motion in a straight line unless it is compelled to change that state by forces impressed on it. #2:…,” and so on. No explanation is given as to what observations, integrations, or discoveries Newton made in order to arrive at these laws of motion. No account is given of the long history behind Newton’s laws of motion–of the earlier theories that were refuted or were accepted and refined. Here, scientific knowledge is presented as a series of commandments rather than as conclusions that have been reached by a laborious process of observation, experiment, and induction. If taught physics this way, a student’s grasp of the principles is necessarily detached from reality. This approach to teaching physics also fails to provide students with a real understanding of the scientific method. If they are not exposed to the way in which a great scientist makes observations and then integrates them to arrive at an innovative conclusion, then they will not understand how science is done. Like the writing process, it will seem like an innate gift of born scientists, and they will never understand that they too can learn the process by which new discoveries are made. Not a word is said about the process of observation that should lead you to a hypothesis, so the implication is that the hypothesis must be chosen on a whim or divinely inspired. Again, what they leave out is observation, integration, and induction. We need to use a way of teaching physics that gives students a real, grounded, and complete understanding of the principles of physics. The best way is to teach it chronologically. By chronologically, I do not mean that we try to chronicle every development in the history of physics. That would be practically impossible and pedagogically disastrous. 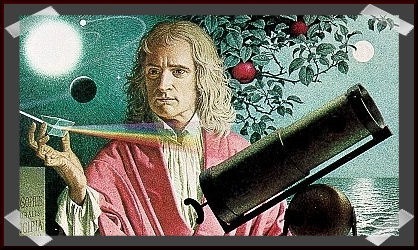 Rather, we teach the essential discoveries of physics in their historical order of development. By teaching physics chronologically you teach it inductively. Induction is the process of reasoning from concretes and lower-level abstractions to higher-level abstractions. The earliest discoveries in physics are necessarily the closest to the perceptual level. They are the simplest discoveries, and lay the groundwork for all later developments. So, if you study physics historically, you begin with these simple discoveries, close to the perceptual level. After these discoveries are grasped, you can proceed to the next stage in history, integrating the most basic discoveries with the observations made by the next scientist, and grasping a conclusion at a step more removed from the perceptual level. As you proceed through history, you are able to grasp principles on increasingly wider levels of abstraction. In our historical approach to physics, students gain their knowledge inductively, starting with knowledge close to the perceptual level and building to greater and greater levels of abstraction. There is an added advantage to teaching physics historically. It is fascinating to learn physics as a story–to learn how and why one development led to the next, and to learn it in the context of the lives of actual scientists. We give some biographical detail when possible. Children love to be inspired by heroes–so knowing that Newton did most of his work in two years on a sheep farm, and hearing that Galileo did much of his work while under house arrest gives them more interest in each man’s scientific discoveries. (A) Students think that for every action there is an equal and opposite *action* – but Newton’s law is about force, not action – and not all forces produce motion. (B) Students think that electrons flow through conductors at the speed of light. However, just as air particles don’t move at the speed of sound, electrons don’t move through metals at the speed that energy propagates. (D) History and the scientific method: I don’t have a separate unit on “the scientific method”; those are over-simplified. Physics is not a set of commandments; rather, it’s the discovery of patterns found by observation, experiment, and induction. The best way is do this chronologically: I lead students through discoveries in historical order. This helps them develop induction – reasoning from concrete idea up towards higher-level abstractions. And it also ties to the stories of the people involved, their life and times – and we know from research that students can remember better when ideas have coherent storylines. Most physics that one learns in high school is classical physics. In a world where we are inundated with news about quantum mechanics and relativity, some people ask why we start with “old” physics. Why can’t we just jump to the “new” physics?. This website is educational. Materials within it are being used in accord with the Fair Use doctrine, as defined by United States law. Title 17 of the United States Code is the United States Code that outlines United States copyright law. It was codified into positive law on July 30, 1947.